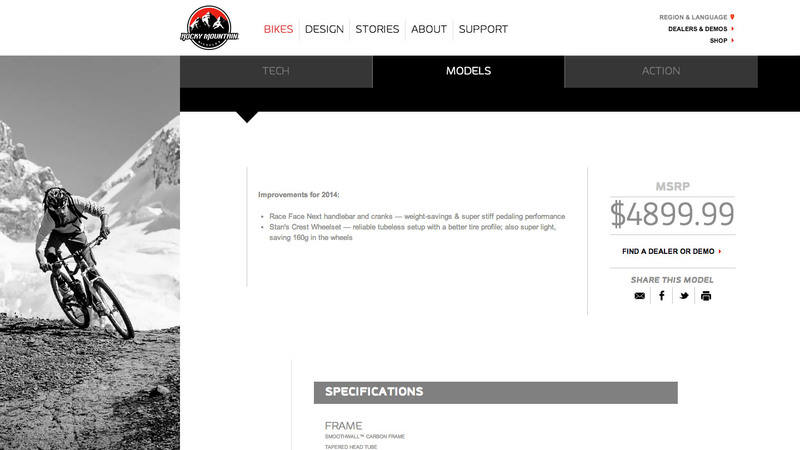 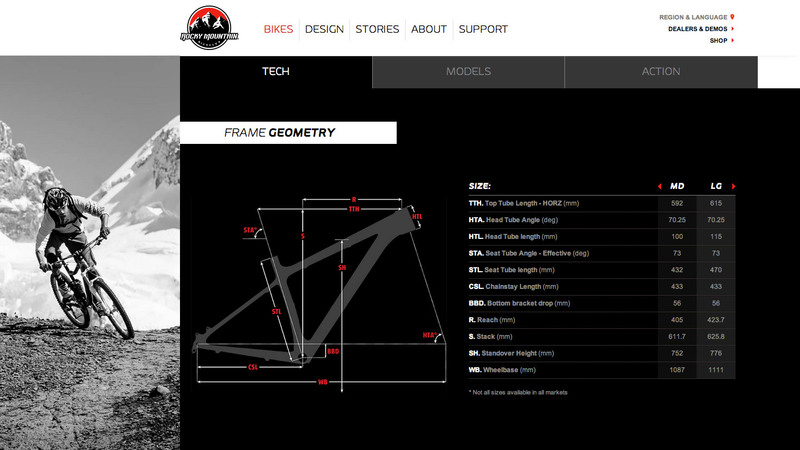 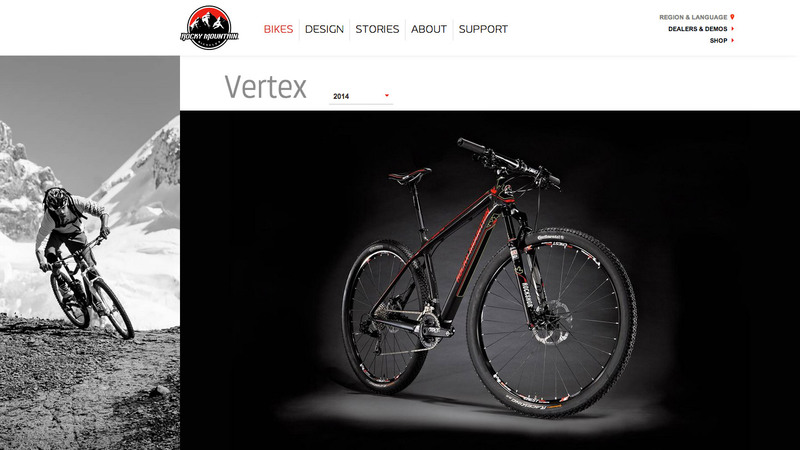 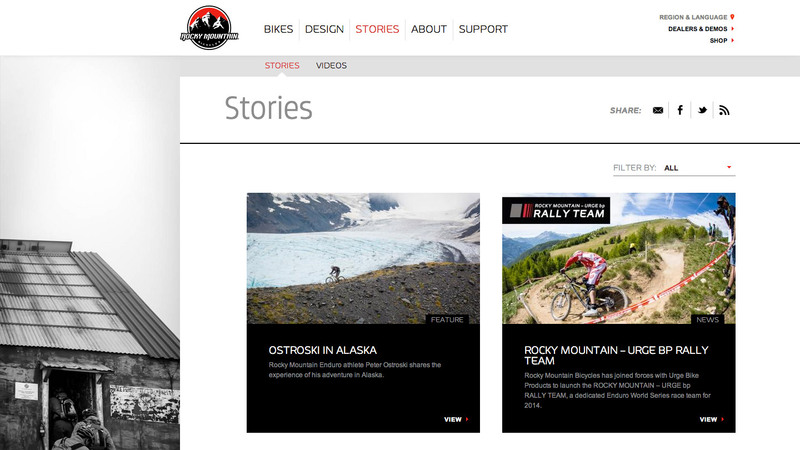 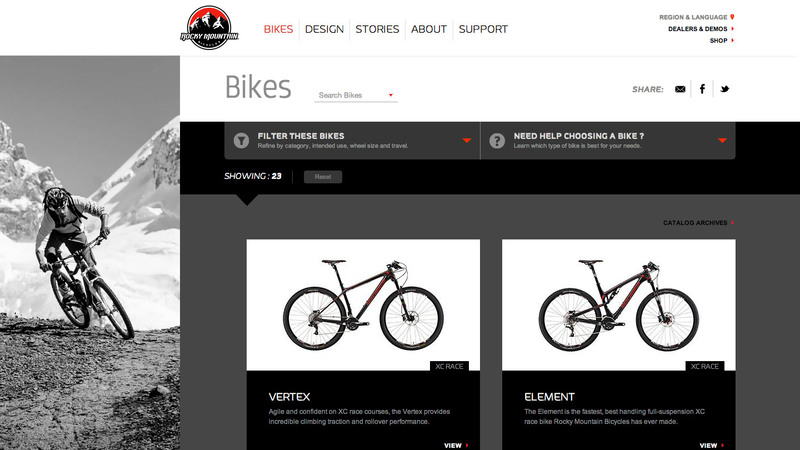 Rocky Mountain Bikes enlisted Origin Design to tackle the brands website re-design. 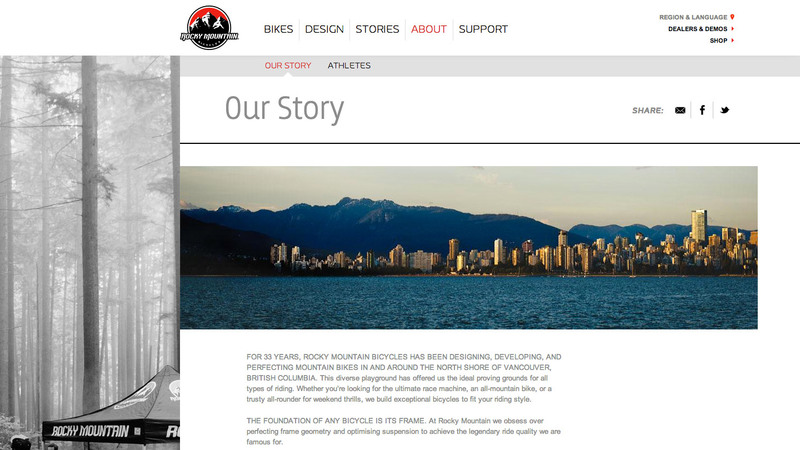 Being that the website is one of Rocky Mountains main consumer touch points it was important to use the re-design as an opportunity to refresh the brands identity. 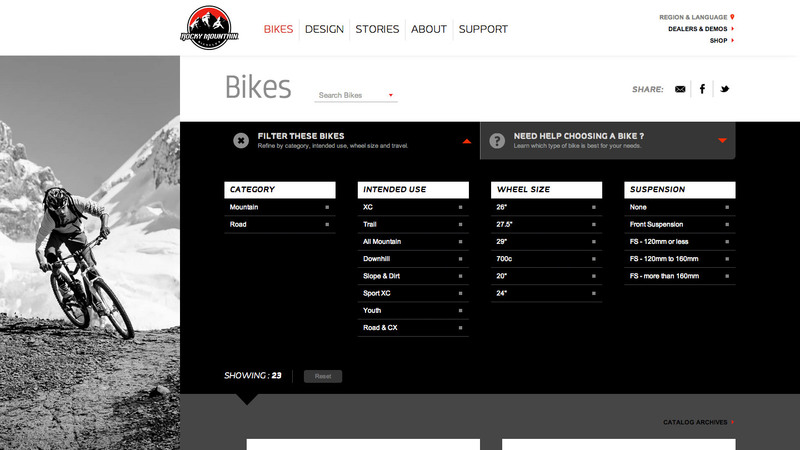 I was brought onboard to tackle the UI, page layouts and responsive composition of the site. 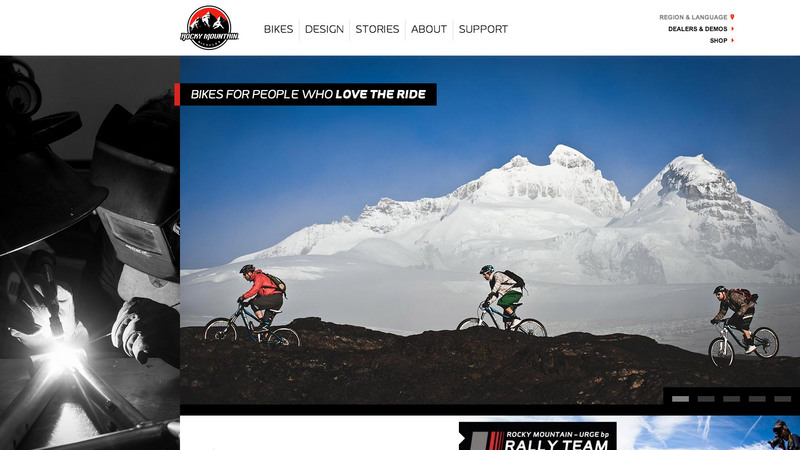 Researching and evaluation are such imporant part of the consumer journeys we did not want to leave any room for drop off or fustrated users. 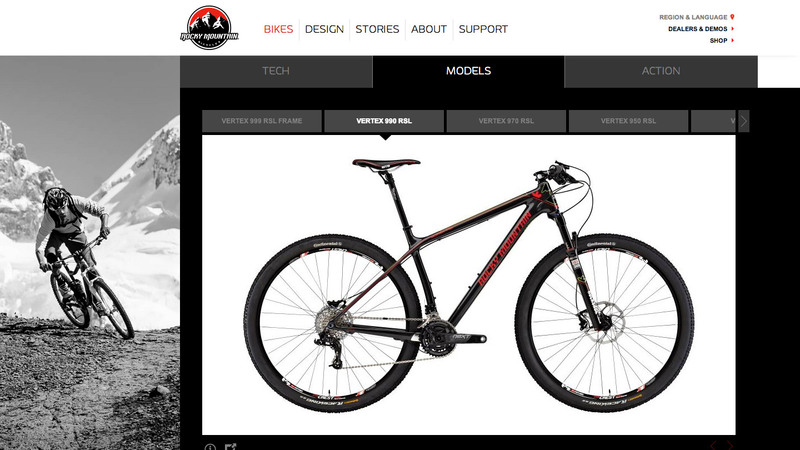 The objective was to clean up the abundant amount of content and detailed specs that are crucial when researching and purchasing a bike.